DePauw University senior Sara C. Lejsner is the recipient of the Greencastle Commission on Sustainability's "Young Leader of the Year Award." 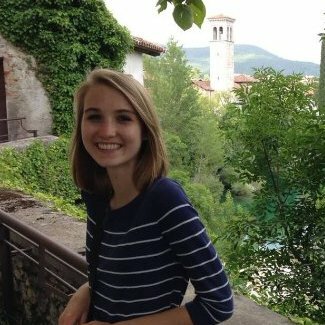 A biology major and French minor, "Lejsner was lauded for her efforts in serving with the Office of Sustainability through all four years of her DePauw career," reports the Banner-Graphic. The newspaper's Eric Bernsee adds, "Initially the lead student coordinator for the Greencastle Community Bikes program, (Lejsner) now serves in the top leadership position of student director for DePauw's 55-student Sustainability Leadership Program. Lejsner currently manages student projects related to the Greencastle Sustainability Commission and recycling in the residence halls. In her free time, she is working on her Honor Scholar thesis related to sustainable agriculture." The award was presented by Anthony Baratta '09, chair of the Greencastle Commission on Sustainability and coordinator of sustainability efforts at DePauw.